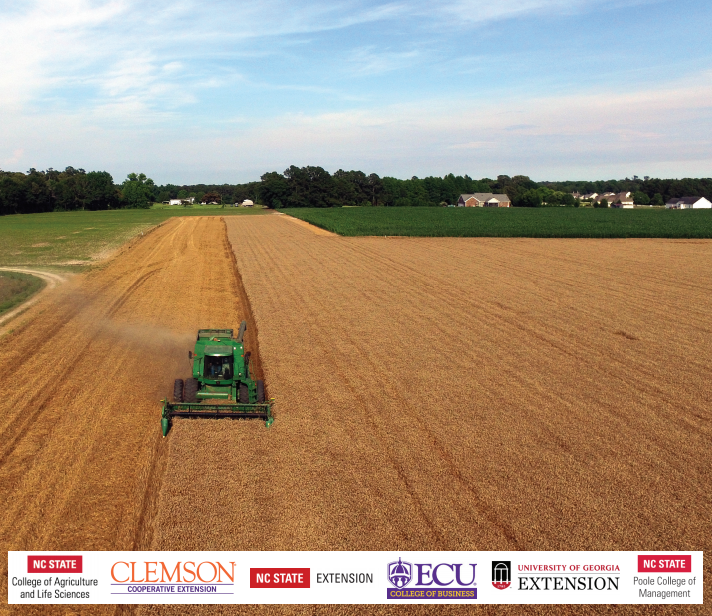 The Executive Farm Management Program is a collaborative project of the North Carolina Cooperative Extension, NC State University’ College of Agriculture and Life Sciences’ Department of Agricultural and Resource Economics, Center for Innovation Management Studies, and East Carolina University’s College of Business. We are proud to add Clemson Cooperative Extension and University of Georgia Extension to our 2019 program. NC State Extension helps create prosperity for North Carolina through programs and partnerships focused on agriculture and food, health and nutrition, and 4-H youth development. ARE embodies excellence in research, teaching and extension. Dedicated, student-focused faculty teach diverse courses and nurture industry connections to help students pursue rewarding careers. Researchers engage students in relevant, applied research. And Extension specialists conduct research-based activities that benefit local and global communities. By harnessing creativity to strategic execution, CIMS is awakening transformative innovation management solutions to accelerate business growth and develop commercially viable products and services. CIMS has been producing ground-breaking, industry-driven research since 1984. Tap into the realm of knowledge where innovation is taught, learned, practiced and measured. Following the lead of today’s economy, the ECU College of Business emphasizes leadership, professionalism, entrepreneurship and communication skills, along with the nuts and bolts of business. Clemson Extension helps improve the quality of life of all South Carolinians by providing unbiased, research-based information through an array of public outreach programs in youth development; agribusiness; agriculture; food, nutrition and health; and natural resources. Through county offices throughout the state, University of Georgia Cooperative Extension offers reliable information and programs in the areas of agriculture, food, families, the environment and 4-H youth development.